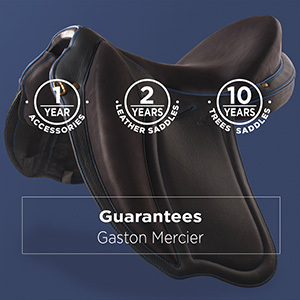 Saddle used by three riders of the France team of endurance, vice world champion at Euston Park in 2012, champion of France 2014. 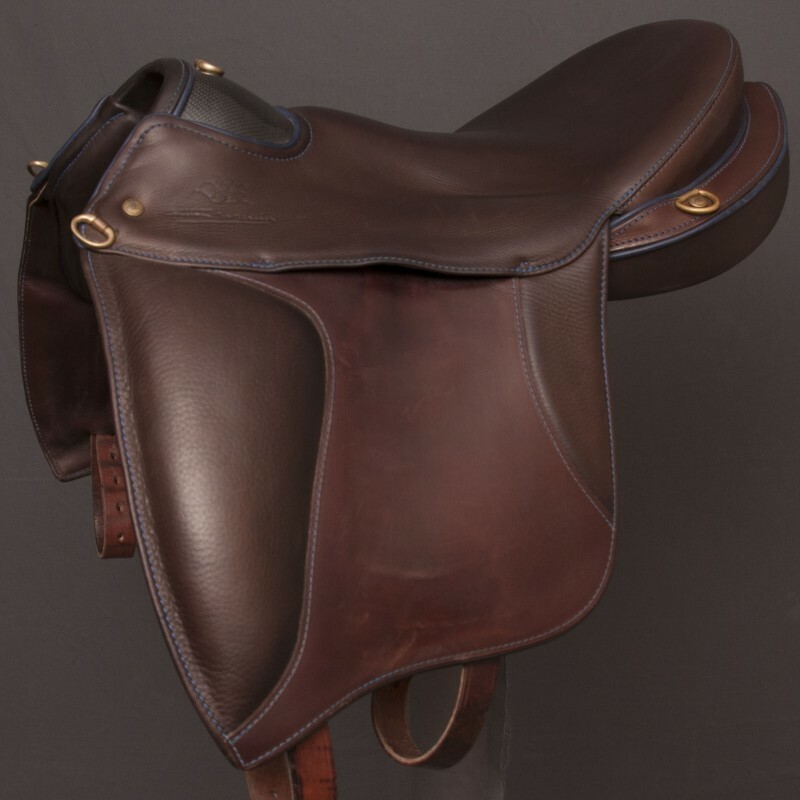 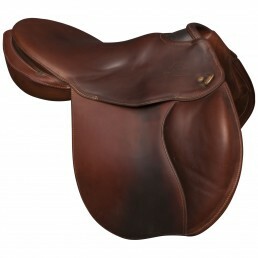 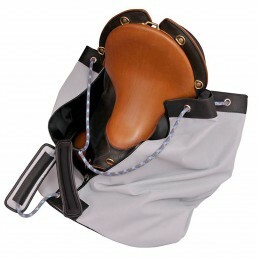 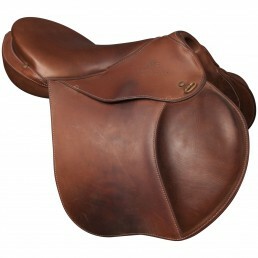 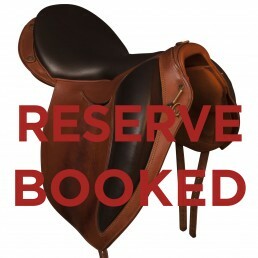 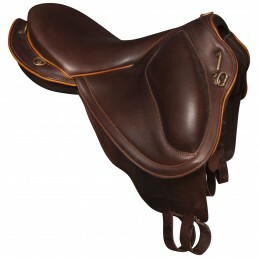 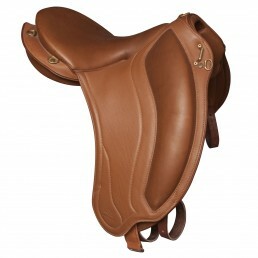 Saddle Florac of demo of 2015 with a coffee seat , a brown flap and a blue pipping. 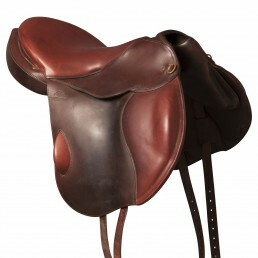 This is the optimum of the equilibrium research of the horse / horse pair. 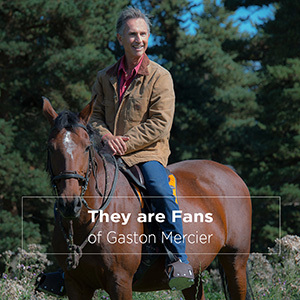 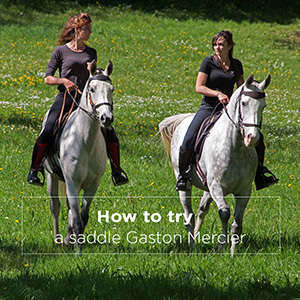 The rider can effortlessly alternate the seated and balanced position, which favors the spreading of the points of support on the back of the horse without overloading his fore-hand. 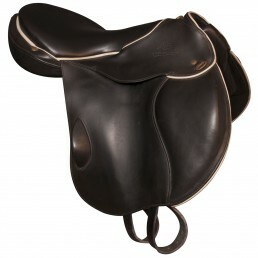 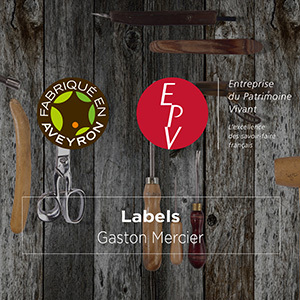 It harmonizes efforts and reduces the notion of fatigue even after 160 km.